The American Institute of Balance is among the country's largest multi-specialty centers for the evaluation and treatment of dizziness and balance disorders. The American Speech-Language-Hearing Association (ASHA) is a professional, scientific, and credentialing association for 140,000 members and affiliates who are audiologists, speech-language pathologists and speech, language, and hearing scientists. Improving the quality of life for people with hearing impairment. GN ReSound is the technology leader in bringing advanced hearing instruments to the market. 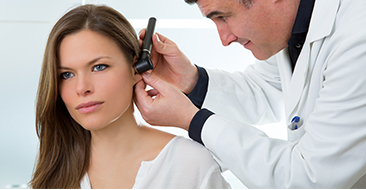 Our use of audiological research combined with the most sophisticated enginering talent, provides patient's with hearing instruments that enhance their quality of life.